We have been involved in a number of broiler unit schemes, the most recent of which near Silloth has just had the final conditions discharged allowing our client to being their new venture on site. Planning Branch dealt with all aspects of this scheme since the client’s initial ideas and proposal in 2014, and gained approval for the scheme in January 2018 after extensive discussions with, and proposals to, the Planning Authority and consultees such as Cumbria County Council Highways. The nature of the proposal required a decision to be made at the Planning Committee, in which we were successful in overturning a refusal recommendation made by the Planning Authority. Throughout this scheme we enlisted the help of numerous specialists who we have great working relationships with, who provided specialist reports required to support the application such as ecological surveys, drainage assessments and visual impact assessments. Agricultural Workers Dwelling; Witherslack, Grange-over-Sands. This is a fantastic example of an agricultural worker dwelling which we obtained approval for. Our clients approached us seeking permission for a dwelling to support their family farm, needing more residential space on the holding. 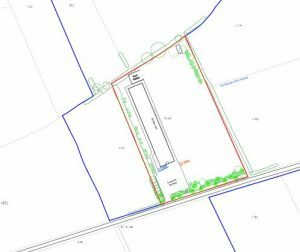 Following pre-application discussions with the Planning Authority, Planning Branch submitted a full planning application for an agricultural worker dwelling, supported by an agricultural appraisal, prepared in house, to identify and establish the need for the property. 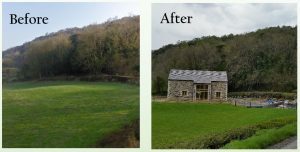 The images above show the site before and after, and how a new build dwelling can be designed to blend into an agricultural setting. Here we have an example of a traditional agricultural barn/byre, which we successfully obtained permission on for the conversion into a dwelling. The building is Grade II* listed, sat among other listed buildings, and so the brief for this project was to be as historically sensitive as possible, retaining many original features and characteristics, whilst providing a high quality home for our client. The barn had benefited from continued maintenance by the owners prior to the conversion, and so this gave a great starting structure for the architect to work with. The application was supported by full detailed plans, as well as a heritage assessment of the buildings providing a highly detailed historical record of the buildings for the local authority to use within their decision making process. National planning policy supports the retention of traditional barns such as this building through alternative use, and so it was deemed an acceptable proposal by the planning authority and granted full approval and listed building consent. Housing Site; Corby Hill, Carlisle. This site was one of the first jobs which planning branch received back in 2008 when the business was started. The initial proposal was to convert a collection of barns into dwellings, however upon assessing the cost of the conversions it was calculated that this was not viable due to the cost of the conversion process, and the projected sale values. 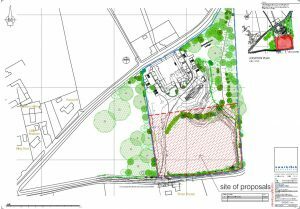 Permission was therefore sought for new build properties on the remainder of the site. 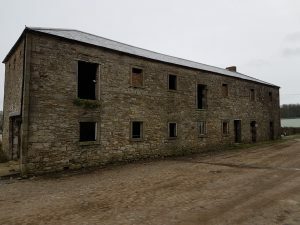 These properties are known as ‘enabling’ properties, as the capital raised through the selling of these sites will allow for the conversion of the barns which are of historic value. The proposal was was granted approval, and so the site which was once a group of redundant barns, now has consent for 2 live-work units, 5 conversions within the traditional buildings, and 8 new build properties. All conditions have also been discharged on the proposals, bringing this 10 year project to an end earlier this year.